We are now offering group buy pricing on all of our Exclusive RPF1's! 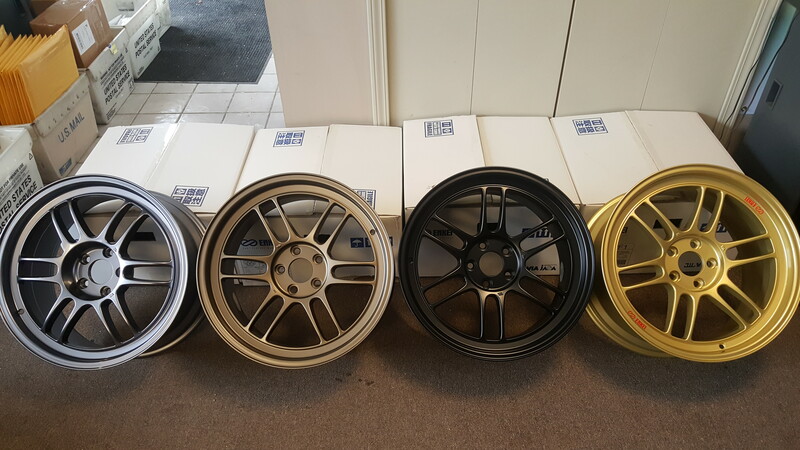 Non-exclusive RPF1's also In-Stock and Available! Enkei RPF1 Wheels (17x8", 45mm, 5x100, Set/4) Gunmetal - $955.80 - Free Shipping! Enkei RPF1 Wheels (17x9", 45mm, 5x100, Set/4) Gunmetal - $1,004.40 - Free Shipping! Enkei RPF1 Wheels (17x9", 45mm, 5x114.3, Set/4) Gunmetal - $1,004.40 - Free Shipping! Enkei RPF1 Wheels (17x9", 35mm, 5x100, Set/4) Gunmetal - $1,004.40 - Free Shipping! Enkei RPF1 Wheels (18x9.5", 38mm, 5x114.3, Set/4) Gunmetal - $1,312.20 - Free Shipping! Enkei RPF1 Wheels (18x9.5", 38mm, 5x100, Set/4) Gunmetal - $1,312.20 - Free Shipping! Enkei RPF1 Wheels (17x8", 45mm, 5x100, Set/4) Matte Bronze - $955.80 - Free Shipping! Enkei RPF1 Wheels (17x9", 35mm, 5x100, Set/4) Matte Bronze - $1,004.40 - Free Shipping! Enkei RPF1 Wheels (17x9", 45mm, 5x100, Set/4) Matte Bronze - $1,004.40 - Free Shipping! Enkei RPF1 Wheels (18x9.5", 38mm, 5x100, Set/4) Matte Bronze - $1,312.20 - Free Shipping! Enkei RPF1 Wheels (17x9", 35mm, 5x100, Set/4) Gold - $923.40 - Free Shipping! Enkei RPF1 Wheels (17x9", 35mm, 5x100, Set/4) White - $1,004.40 - Free Shipping! Center Caps, Hub Rings, and Lug Nuts! The center caps are $25 individually, or $100 for the set of 4. -Spline drive lug nuts in your color choice! The combo has a cost of $125 with Muteki Spline Drive lug nuts, OR $175 with McGard Lug Nuts. 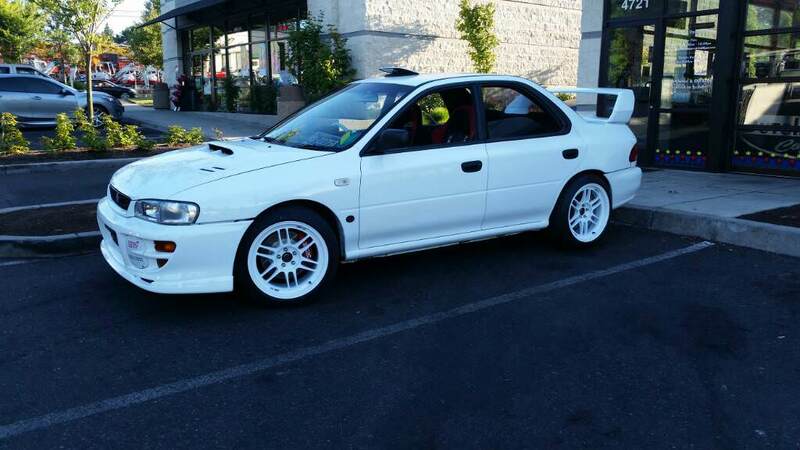 17X9 +35 White RPF1 on this GC8! 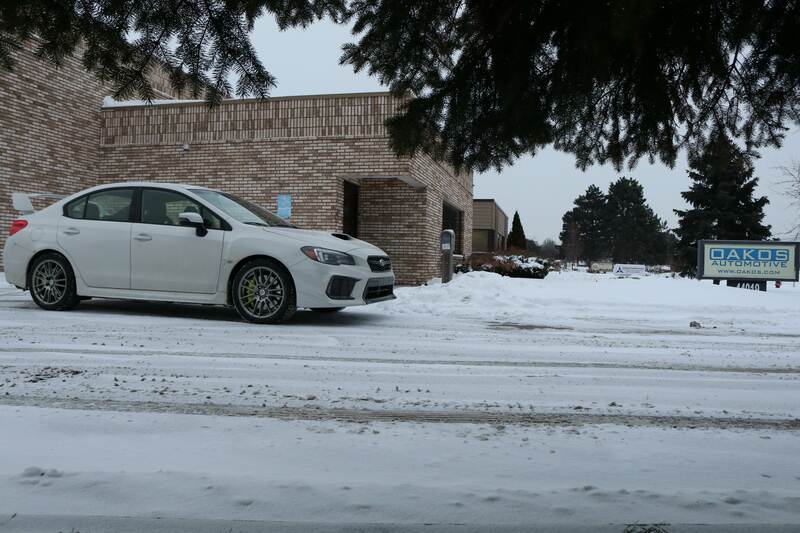 18x9.5 +38 Gunmetal RPF1 on this WRB STi! We also carry Prodrive and Team Dynamics wheels! PM For more info! 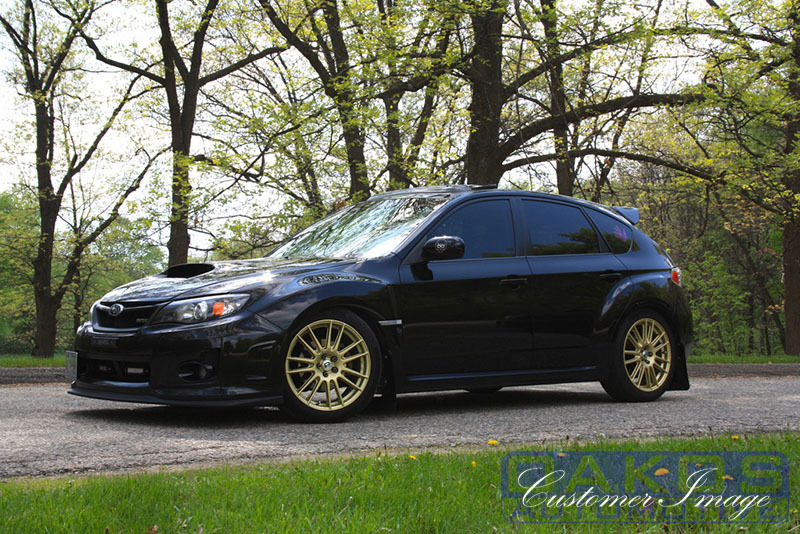 Prodrive GT1 (18x8.5", 53mm, 5x114.3) Glitter Gold, 2005-2018 STi & 2015+ WRX - $1,280.00 - Free Shipping! Prodrive GT1 (18x8.5", 53mm, 5x114.3) Matte Anthracite, 2005-2018 STi & 2015+ WRX - $1,152.00 - Free Shipping! Prodrive GT1 (18x8.5", 53mm, 5x114.3) Gloss Anthracite, 2005-2018 STi & 2015+ WRX - $1,152.00 - Free Shipping! Prodrive GT1 (18x8.5", 53mm, 5x114.3) Matte Black, 2005-2018 STi & 2015+ WRX - $1,152.00 - Free Shipping! Prodrive GT1 (18x8.5", 53mm, 5x114.3) High Power Silver, 2005-2018 STi & 2015+ WRX - $1,152.00 - Free Shipping! Prodrive GT1 (18x8.5", 53mm, 5x114.3) Gloss Black, 2005-2018 STi & 2015+ WRX - $1,152.00 - Free Shipping! 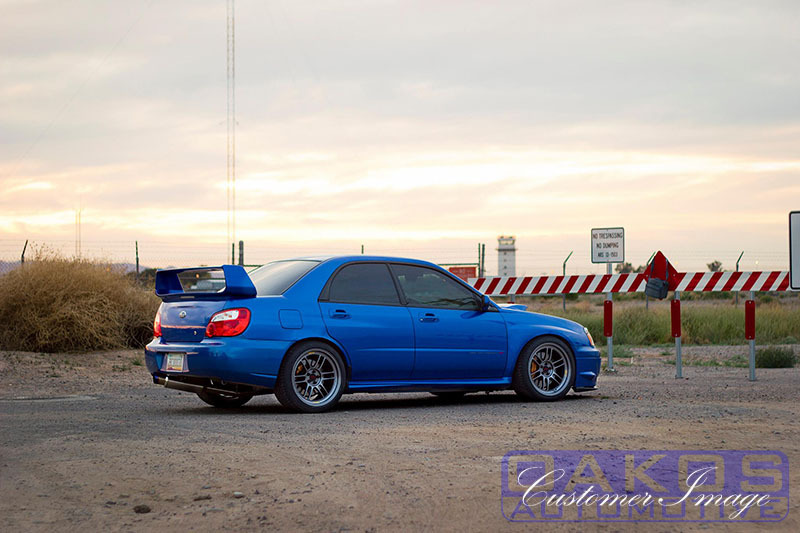 Prodrive GT1 (18x7.5", 53mm, 5x100) Matte Anthracite, 2002-2014 WRX - $1,060.00 - Free Shipping! Prodrive GT1 (18x7.5", 48mm, 5x100) Matte Anthracite, 2004 STi & BRZ/FR-S - $1,060.00 - Free Shipping! Prodrive GT1 (18x7.5", 48mm, 5x100) Glitter Gold, 2004 STi & BRZ/FR-S - $1,060.00 - Free Shipping! 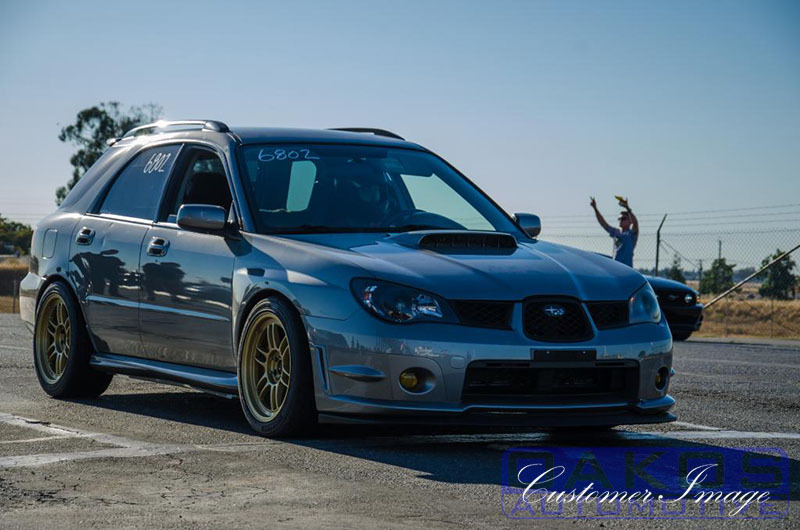 Prodrive GT1 (18x7.5", 53mm, 5x100) Gloss Anthracite, 2002-2014 WRX - $1,060.00 - Free Shipping! Team Dynamics Pro Race 1.2 (17x9", 35mm, 5x100) Matte Anthracite, Various - $945.00 - Free Shipping! Team Dynamics Pro Race 1.2 (17x9", 35mm, 5x100) Gold, Various - $999.96 - Free Shipping! Team Dynamics Pro Race 1.2 (17x9", 35mm, 5x100) Gloss Anthracite, Various - $999.96 - Free Shipping! Team Dynamics Pro Race 1.2 (17x9", 45mm, 5x100) Anthracite, Various - $999.00 - Free Shipping! Team Dynamics Pro Race 1.2 (17x8", 48mm, 5x114.3) Matte Black, Various - $945.00 - Free Shipping! Team Dynamics Pro Race 1.2 (17x7.5", 53mm, 5x100) Matte Black, Various - $864.00 - Free Shipping! Team Dynamics Pro Race 1.2 (17x7", 50mm, 5x114.3) Matte Black, Various - $793.80 - Free Shipping! Team Dynamics Pro Race 1.2 (17x8", 38mm, 5x114.3) High Power Silver, Various - $945.00 - Free Shipping! Lug Nuts, Spacers, and other Accessories! Muteki "SR45Ti" Titanium Open End Lug Nuts (12x1.25mm), Subaru & Nissan - $287.85 - Free Shipping! Perrin Wheel Spacers (20mm, 5x114.3, Pair/2, Black), 2005-2018 STi & 2015+ WRX - $151.20 - Free Shipping! Perrin Wheel Spacers (25mm, Set/2, Black), 2002-2014 WRX & 2013-2015 BRZ & FR-S - $158.40 - Free Shipping! Perrin Wheel Spacers (30mm, Set/2, Black), 2002-2014 WRX & 2013-2015 BRZ & FR-S - $187.20 - Free Shipping! Perrin Wheel Spacers (15mm, 5x114.3, Pair/2, Black), 2005-2018 STi & 2015+ WRX - $151.20 - Free Shipping!